Take action now! Stand up for science and vaccines! In Brief: Anti-vaccination propagandists Age of Autism are going before Congress trying to do an end run around science so they can sue vaccine manufacturers for scientifically unsupported claims that vaccines cause autism (and a laundry list of other things). If they succeed, we may all be screwed because the frivolous lawsuits will drive vaccine manufacturers out of the business- leaving us without access to life-saving vaccines. Contact your Representative TODAY (11/7/13) and implore him/her to stand up for science and life-saving vaccines by not letting Age of Autism parade scientifically-unfounded propaganda in front of Congress unchallenged by facts and truth. For more info, including how to find/contact your rep, go to Moms Who Vax. You can also help spread the word by following Moms Who Vax on Twitter, or visiting the Carnival of Evidence-Based Parenting Facebook page. As you may have heard, Age of Autism is preparing to parade their anti-vaccine propaganda in front of Congress. Today they are presenting at a Congressional briefing, soon, they will get an actual hearing in front of the US House of Representatives. Why are they doing this? They are trying to dismantle the Vaccine Injury Compensation Program (VICP, aka “Vaccine Court”) because that court looks at the decades of science and research proving the safety and efficacy of vaccines and the absence of a link between vaccines and the laundry list of issues Age of Autism claims vaccines cause (ADHD, autism, allergies, etc.) Since the VICP relies of scientific evidence, parents who bring claims for autism are unable to be compensated by the fund. Age of Autism is hoping that a jury of peers might be more easily duped than the VICP and agree to compensate families for conditions/reactions science has shown are not linked to vaccines. If the anti-vaccine propagandists are successful, we could be in trouble. Vaccine producers would be inundated with lawsuits for ‘injuries’ the VICP refuses to recognize due to lack of scientific evidence. The VICP was created precisely to prevent this– prevent vaccine producers from leaving the vaccine market due to lawsuits, leaving our population without access to life-saving vaccines. Let me reiterate- decades of science have shown that vaccines are safe and effective. Adverse reactions to vaccines are real, but rare. The risk of contracting a vaccine-preventable, life-threatening illness FAR outweighs the risk of vaccination. Decades of study have found no credible evidence to link vaccines to autism (or the litany of other things Age of Autism claims). The VICP is crucial to provide compensation to those rare cases of adverse vaccine reactions while protecting our supply of life-saving vaccines. So what can you do to stand up for science and vaccines? Contact your Representative and tell him/her not to let Age of Autism spout propaganda in front of Congress! Tell your Rep to learn the science, stand up for it, and keep vaccines available. I contacted my rep, and you can see my letter below. Feel free to use part/all of the text- even a form letter is better than nothing- when you call or email your Rep. It’s crucial that this is done TODAY, November 7th as the Congressional briefing is today at noon. The hearing will be held next month. Stand up for science and for life-saving vaccines. For more info, including how to reach your representative, go to Moms Who Vax. I write to you today as a mother and a scientist. As you may or may not know, Age of Autism, a group that dangerously misrepresents the safety and efficacy of vaccines is attempting to dismantle the Vaccine Injury Compensation Program (VICP aka Vaccine Court). Their hope is that a jury of their peers will be more easily swayed to disregard decades of science and research and award money to families that mistakenly claim their children developed autism due to vaccines. The VICP was developed to protect vaccine manufacturers from frivolous lawsuits that in the 1980s nearly succeeded in companies ceasing to produce life-saving vaccines. The risks of vaccinations are real, hence the importance of having the VICP; however, those risks are minuscule compared to the dangers of contracting vaccine-preventable illnesses. Please, stand up for science and life-saving vaccines. Send a staffer to the Congressional briefing being held TODAY by Age of Autism and counteract their anti-science, anti-vaccine rhetoric and propaganda. When Age of Autism holds its hearing in front of the House of Representatives, please, take them to task for their misrepresentation, rejection, and complete lack of scientific evidence. Protect our families and our children by sticking to the decades of scientific research that shows the safety and efficacy of vaccines. Please do not let them parade myths and untruths about vaccines in front of Congress. I have included some useful links to additional information below. Please reach out to be if there is anything I can add to help you or your staff combat this dangerous rhetoric. 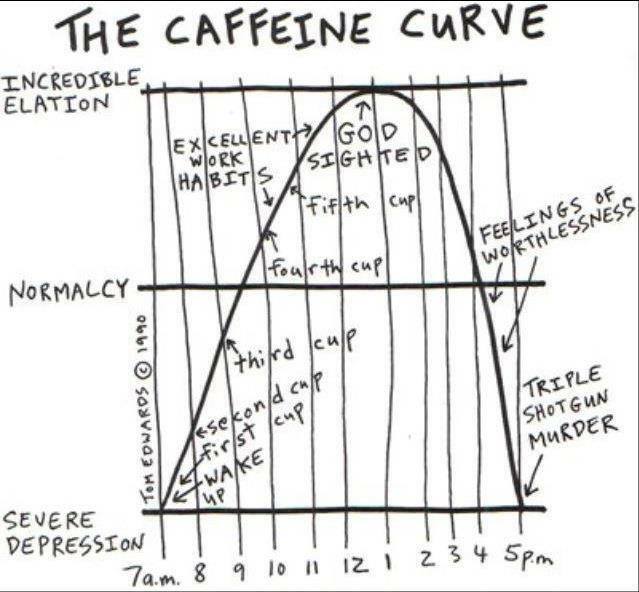 Wordless Wednesday Coffee Edition: Where do you fall?